Smith, Curt. Storied Stadiums. Baseball's History through Its Ballparks. Photo available. New York. Carroll and Graf. 2002. Octavo. Hard cover. Reprint. Illustrated in black, white and color. Fine copy in fine dust jacket (in mylar). Smith, David L. The Gods of Golf. A Novel. New York. Pocket. 1997. 369 pps. Octavo. Soft cover. First edition. Illustrated. Very good copy. Light wear (owner inscription). Smith, Guy. Ferreting and Trapping for Amateur Gamekeepers. Hindhead. Spur Pub. 1979. Octavo. Hard cover. Second edition. Illustrated. Fine copy in fine dust jacket (in mylar). Smith, Lissa (ed). Nike is a Goddess. 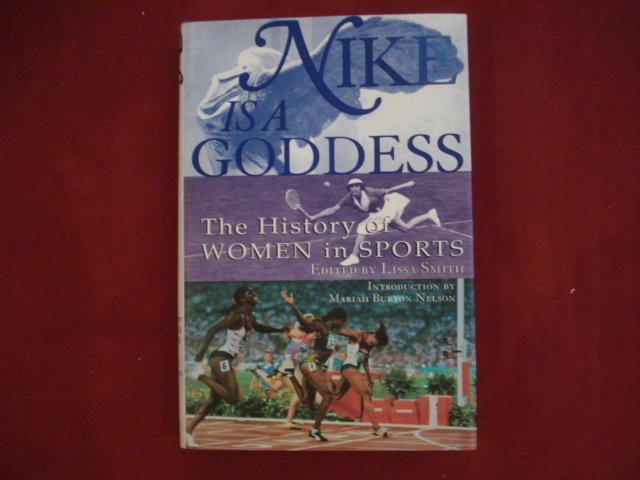 The History of Women in Sports. Photo available. New York. Atlantic Monthly. 1998. Octavo. Hard cover. First edition. Illustrated. Fine copy in fine dust jacket (in mylar). Smith, Richard. 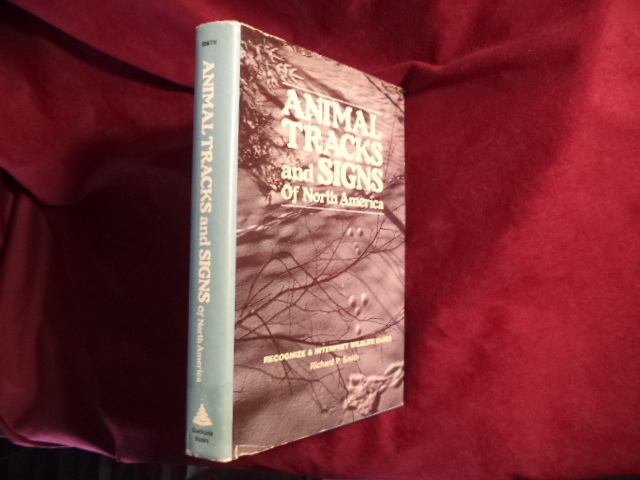 Animal Tracks and Signs of North America. Photo available. Harrisburg. Stackpole Books. 1982. 271 pps. Octavo. Hardcover. First edition. Illustrated. Important reference work. Fine copy in fine dust jacket (in mylar). Smith, Robert W. Hsing-I. Chinese Mind-Body Boxing. Berkeley. North Atlantic Books. 2003. Octavo. Soft cover. First edition. Illustrated. Fine copy. Smith, Robert. Illustrated History of Baseball. Photo available. New York. Grosset & Dunlap. 1978. 4to. Hard cover. Reprint. Illustrated. Fine copy in near fine (very light shelf wear) dust jacket (in mylar). Smith, Ron. Pro Football's Heroes of the Hall. Deluxe binding. Photo available. St. Louis. Sporting News. 2003. 399 pps. 4to. 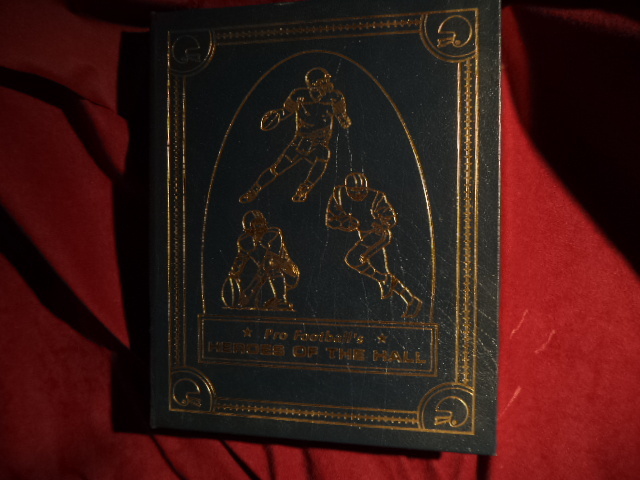 Gilt decorated leather, Gilt hard cover. Gilt edges. Satin end papers. Ribbon book mark. First edition. Illustrated in black, white and color. Important reference work. Fine copy. Smith, W.H.B. The W.H.B. 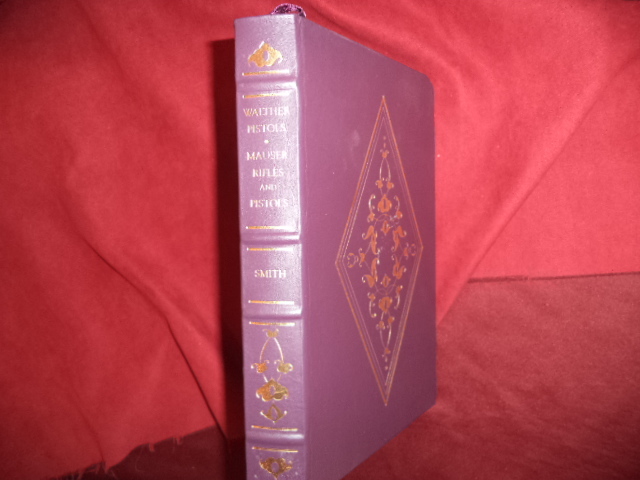 Smith Classic Book of Pistols & Revolvers. Handguns of the World - Their Identification and Operation, Illustrations and Descriptions... Photo available. Secaucus. Castle Books. 1979. 816 pps. 4to. Hardcover. Reprint. Illustrated in black, white and color. Important reference work. Fine copy in near fine (very light shelf wear) dust jacket (in mylar). Smith, W.H.B. Walther Pistols and Mauser Rifles ad Pistols. Photo available. Birmingham. Palladium Press. The Firearms Classic Library. 1999. 236 pps. Octavo. Gilt decorated hard cover. Gilt edges. Satin end papers. First edition thus. Illustrated. Important reference work. Fine copy. Smith, Walter H.B. Rifles. Photo available. Birmingham. Palladium Press. The Firearms Classic Library. 1997. 546 pps. Octavo. Gilt decorated hard cover. Gilt edges. Satin end papers. First edition thus. Illustrated. Important reference work. Fine copy. Smythe, Frank. Mountains in Color. London. Readers Union. 1951. 155 pps. Octavo. Hardcover. First edition. Color plates of mountains of the world. Near fine copy. Smythe, Pat. Jumping Round the World. Horses. Photo available. New York. Arco. 1964. 211 pps. Octavo. Hardcover. First edition. Illustrated. Important reference work. 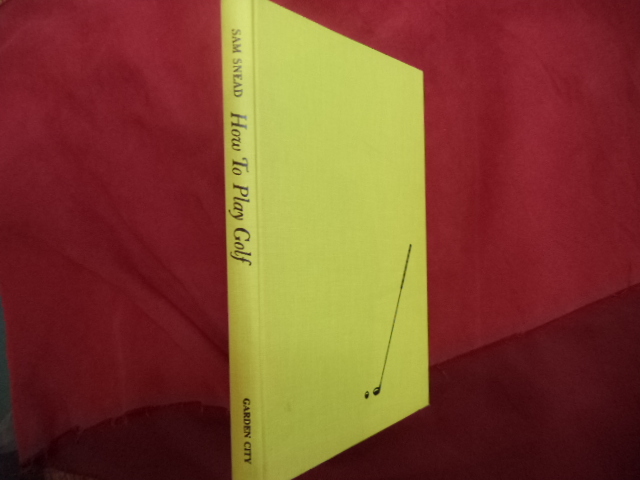 Fine copy (owner name on end papers) in near fine (very light shelf wear) dust jacket (in mylar). Smythe, R.H. The Mind of the Horse. Brattleboro. Stephen Greene Press. 1983. 123 pps. Octavo. Hardcover. Reprint. Illustrated. Fine copy in fine dust jacket (in mylar). Snead, Sam. Golf Begins at Forty. How to Use Your Age Advantage. New York. Dial. 1978. Octavo. Soft cover. Reprint. Illustrated. Fine copy. Snead, Sam. Natural Golf. New York. A.S. Barnes Publishing. 1953. Octavo. Hard cover. First edition. Illustrated. Fine copy in lightly edge worn, slight spine fading dust jacket (in mylar). Snead, Sam. Pigeons, Marks, Hustlers and Other Golf Bettors You Can Beat. Photo available. Trumbull. Golf Digest. 1986. Octavo. Hard cover. First edition? Number one missing. Illustrated. Fine copy in near fine (very light shelf wear) dust jacket (in mylar). 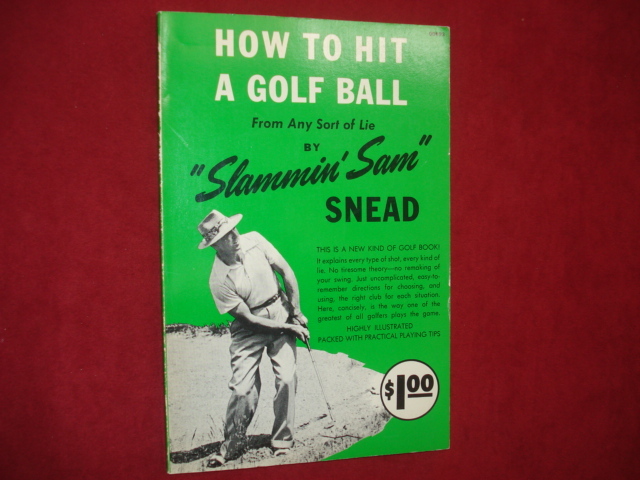 Snead, Sam. 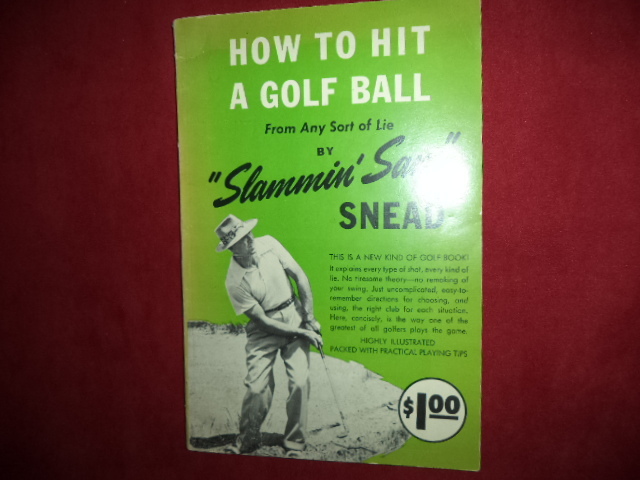 Sam Snead Teaches You His Simple "Key" Approach to Golf. Photo available. New York. Atheneum. 1975. 180 pps. 4to. Hardcover. Stated first edition. Illustrated. Important reference work. Fine copy in fine dust jacket (in mylar). 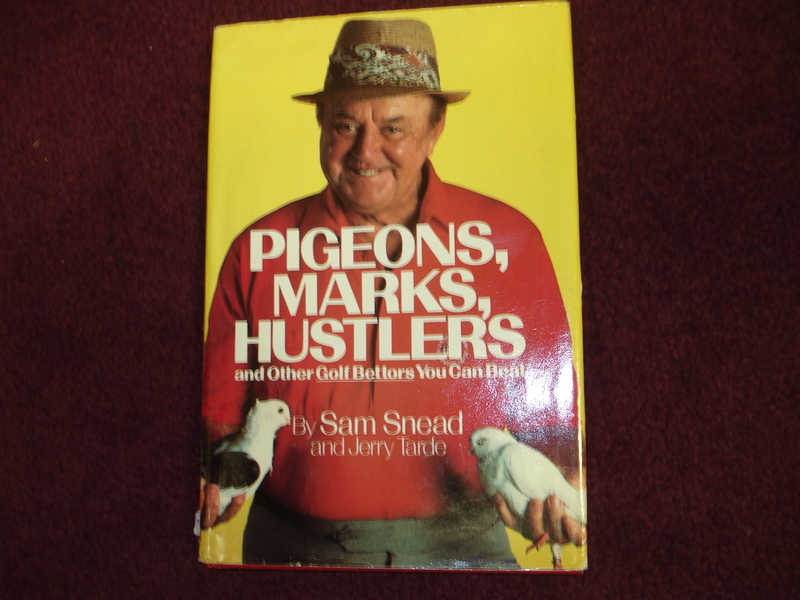 Snead, Sam. Slamming Sam. How to Hit a Golf Ball from Any Sort of Lie. Photo available. Garden City. Doubleday. 1950. Octavo. Soft cover. Reprint. Illustrated. Fine copy. Solomon, Larry (ed). The Complete Book of Modern Fly Fishing. Photo available. Chicago. Follett. 1979. 4to. Soft cover. First edition. Illustrated. Fine copy. Solomon, Larry. The Caddis and the Angler. Cassis Entomology and Behavior. Fly Fishing Techniques... Harrisburg. Stackpole. 1977. Octavo. Hardcover. First edition. Illustrated in color and black & white. Fine copy in near fine (very light shelf wear) dust jacket (in mylar). Sorenstam, Annika. Golf Annika's Way. Photo available. New York. Gotham Books. 2004. Octavo. Hard cover. First edition. Illustrated in black, white and color. Fine copy in fine dust jacket (in mylar).